Kathy and Gary Williams moved to Kerikeri from Auckland two years ago – for Kathy, a return to where she grew up. They have established a small boutique vineyard of Pinot Gris. They share the property with Johnson the pug dog, Lucky the rescued dog, two very old cats and assorted free range chickens. 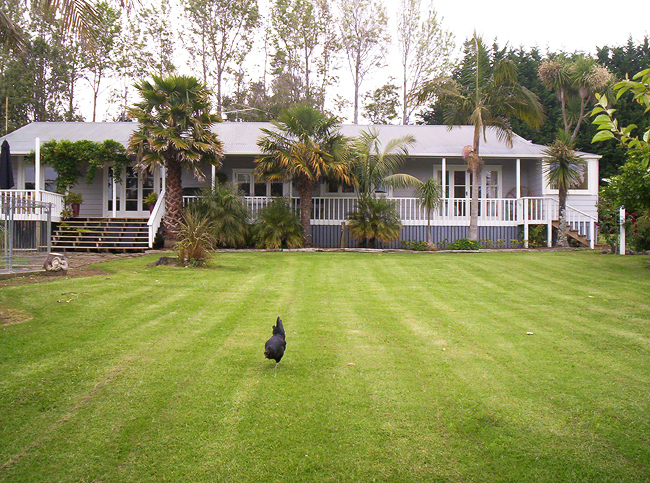 Tui’s, ducks, pukekos, fantails, kingfishers, quail, doves and pheasants are also often seen. The luxury bed and breakfast is in a separate self contained unit and guests have full use of the swimming pool, tennis court and gardens.